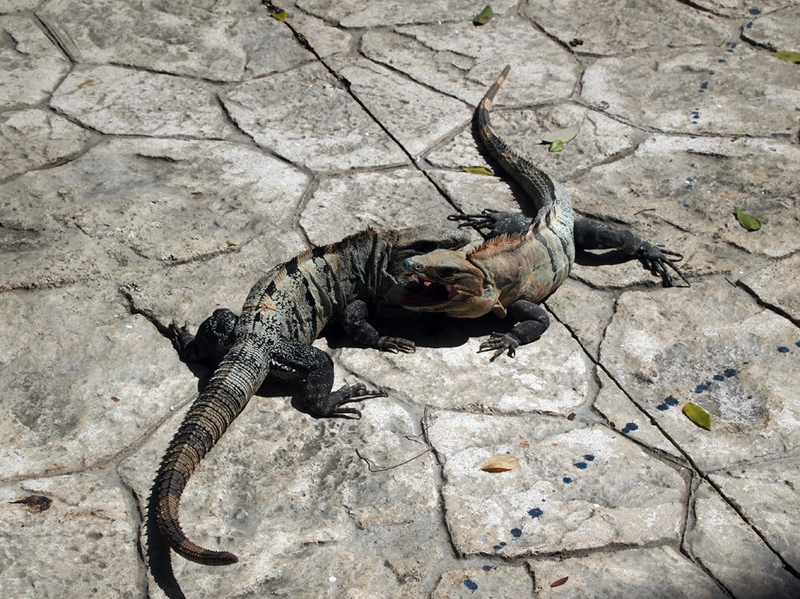 Alexander and I spent a short but relaxing time in the Mayan Riviera with our friends this april. 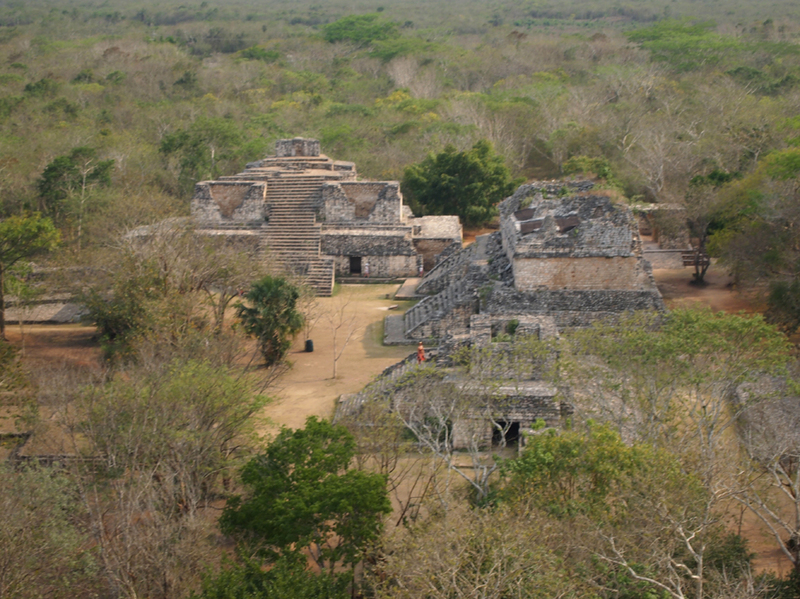 The highlight was Ek Balam – “Bright Star Jaguar” in Maya language, a Yucatec-Maya recently (and still only partially) excavated archeological site within the municipality of Temozon, from the Preclassic until the Postclassic period – the seat of a Mayan kingdom. In ancient times, it was a large city, controlling a populous and prosperous countryside. The Acropolis houses the possible tomb of king Ukit Kan Le’k Tok’, who ruled from 770 (the starting year of the “height” of this city) to 797 or 802 CE. 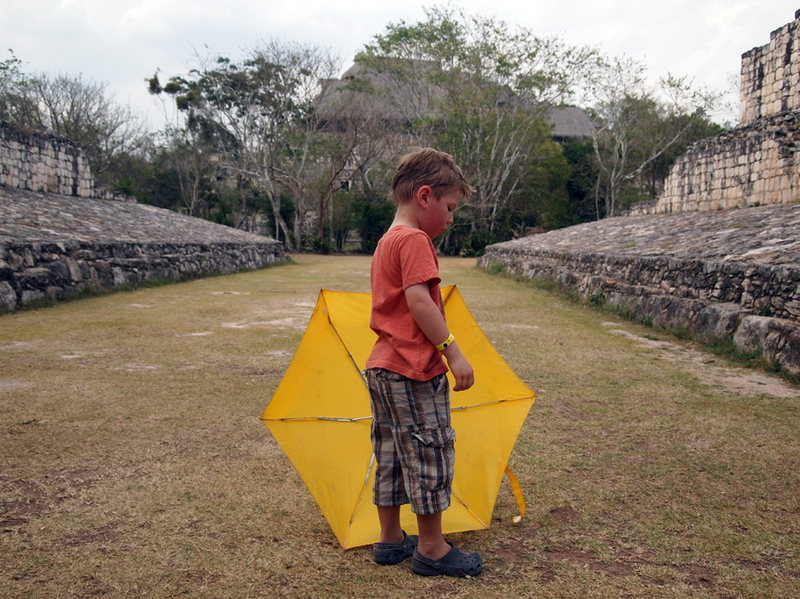 In this ball court there were a number of discoveries made, among them a collection of burnt stone balls that may relate to the Mayan ball game which we saw in a spectacular show at the Xcaret park. 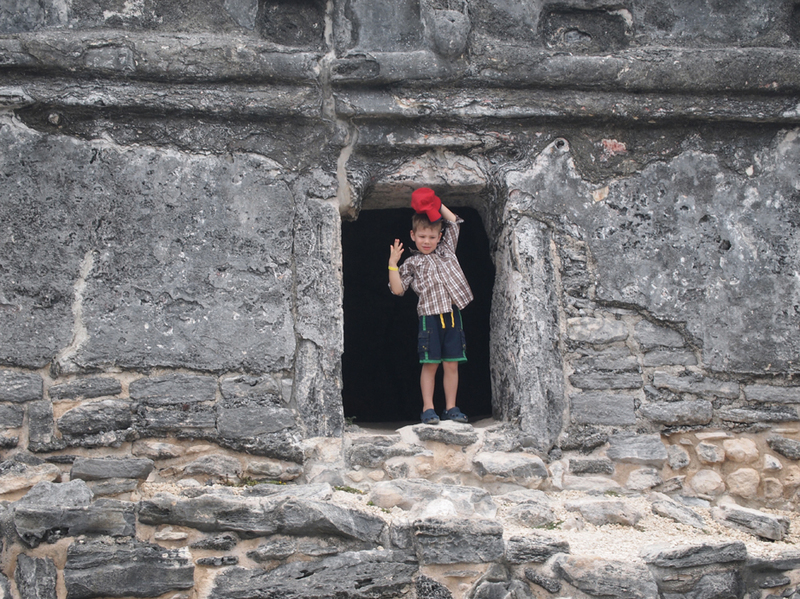 The Xcaret Park had a numerous animals and a little boy in a red hat weaving in and out amongst the ruins scattered all over the huge park and resort. 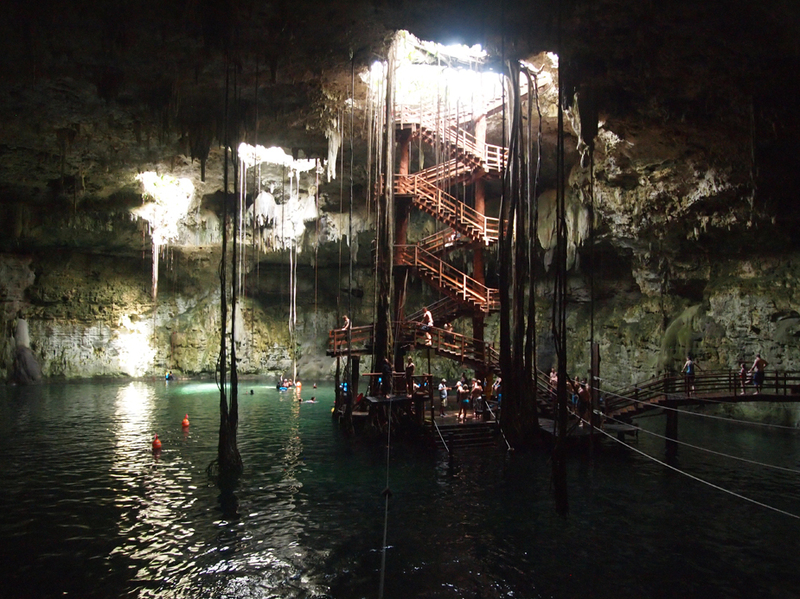 The other highlight was a swim in the biggest of Yukatan’s 7000 cenotes. This one: Cenote Maya, a great natural pool of 80 m diameter with beautiful rock formations and roots reaching down the had a wooden staircase or vines to down into. We opted for the former.